There are many steps that are part of re-insulating an existing attic. One of these steps is properly insulating around a chimney. Did you know that installing a chimney barrier between a brick and block chimney and attic insulation is required by building codes? 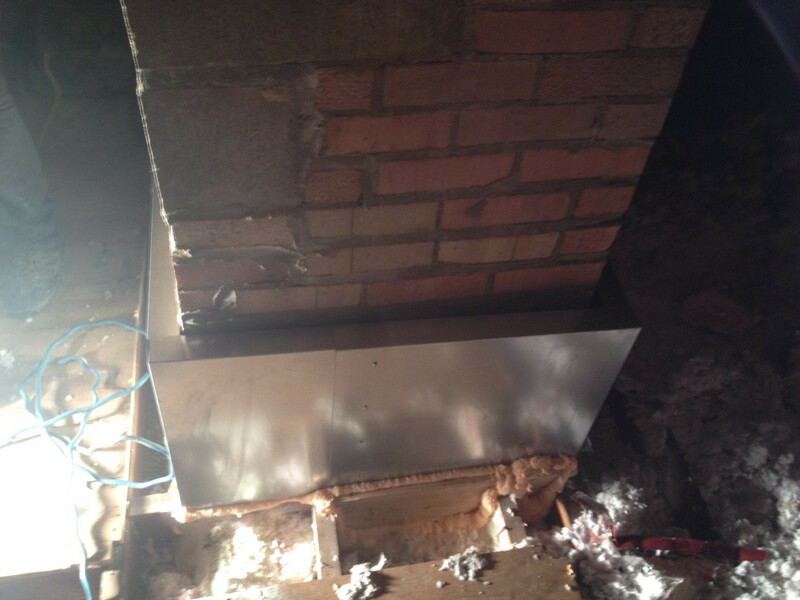 Whether a home’s chimney is for exhaust and venting, or if it includes a fireplace chimney, installing a chimney barrier is part of any retrofit insulation job. 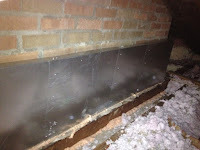 We install Chimney Shield barriers. These barriers are made from 26 gauge sheet metal and creates an effective barrier between a chimney and loose fill insulation. This is installed in conjunction with high-temp caulk sealant and spray foam to safely seal the pressure boundary around the chimney without creating a fire hazard. When reviewing your attic for an insulation upgrade, our estimators will check your existing chimney barrier in the event it needs to be upgraded before adding additional insulation. For more information about Chimney Shield contact our office - we hare happy to help!. 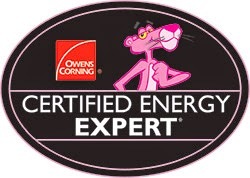 Rockweiler Insulation is proud to be a member of an elite group of Certified Energy Experts chosen by Owens Corning. Not only are we proud to have a great reputation with contractors throughout the Madison, Wisconsin area, we are now recognized as an exceptional contractor by one of the industry’s top manufacturers. As the region’s only Owens Corning Certified Energy Expert, we provide additional peace of mind by having an extensively trained team and offering an exclusive warranty*. A dedication to outstanding insulation industry standards and practices. Completion of extensive industry training provided by Owens Corning. Utilizing comprehensive energy strategies and solutions for lasting efficiency. Using dependable, innovative products from Owens Corning. Being qualified to offer Owens Corning Insulating Systems limited lifetime warranty on product and exclusive 10-year limited warranty* on workmanship. By working with a Certified Energy Expert you know you’re receiving the best workmanship and quality in the industry. And it’s one less thing you have to worry about when building a new home. Interested in a ten-year warranty* on your new home’s insulation? Have a question about the Certified Energy Expert program? Contact our office to learn more. * Ten (10) years from date of installation by an Owens Corning Certified Energy Expert. See actual warranty for complete details, limitations and requirements.